While there has been multi-channel compatible compact mixers available in the application for a long time, in the form of the Camo series mixer line, there were no real mixing consoles for more conventional mono/stereo jobs. And because we really like this EQ sound, we decided to include it as an extra stand-alone module, so you can process any source (up to 8 channels per module) even without using the K-Series console itself. 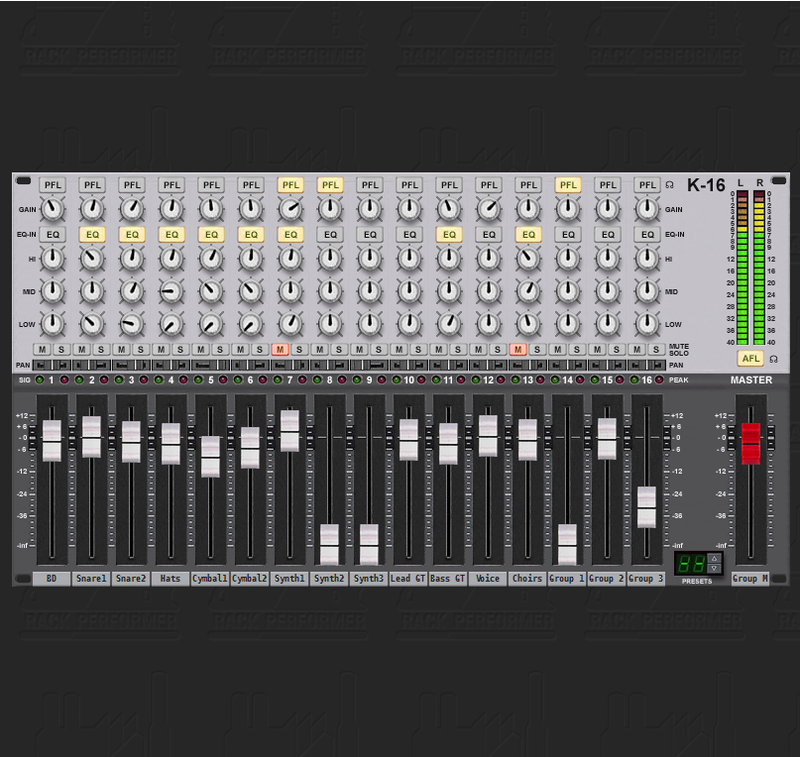 More filters and equalizers will be added after the 1.0, as well as the bigger sisters of the K-16. Release is now imminent, stay tuned!